Home » Carl Savard , Caroline Truchon , Catherine Mailloux , Daan Breeuwsma , Elise Christie , elton de souza , Florence Gauthier , inline , Jackob Savard , Julie Doyon , Keita Watanabe , long track , maria dalton , short track » We're now two years old! Happy birthday Passion/Speed/Skating! Two years. It’s already been two years since we started sharing our passion for speed skating on the web. If Passion/Speed/Skating’s growth started with a steady pace from the get go, the speed it was able to reach in 2018 is highly impressive and it’s with the strong desire to continue to be your favorite source of speed skating news that this new year begins. Even though Jack and I are still doing a huge portion of the job, 2018 couldn’t have been has amazing as it turned out to be without the help of other important people. 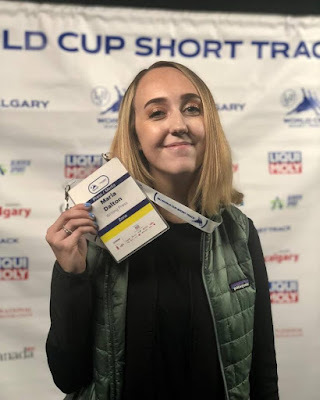 Maria Dalton, who joined us just before the Olympics, has done a great job of covering long track for us during the Games and with all the articles she’s written since joining passionpvss.com, she deserves a round of applause. 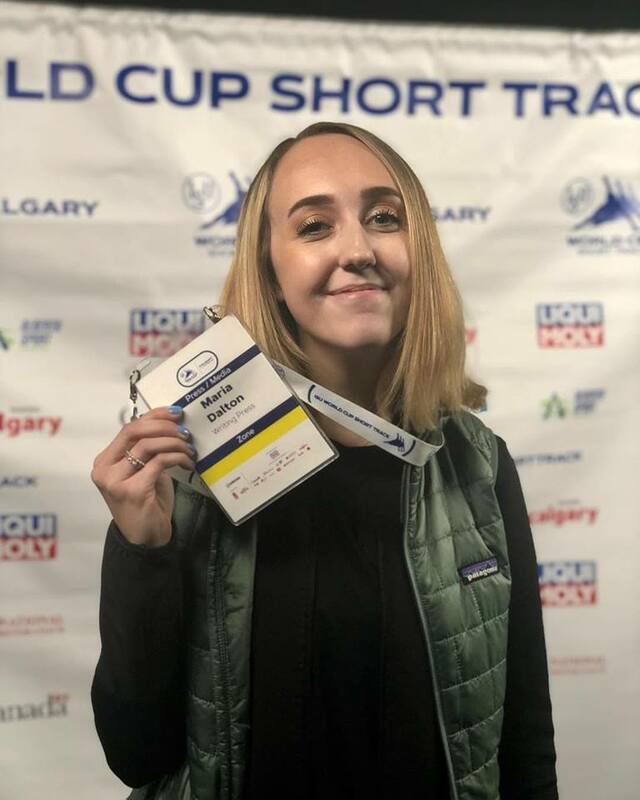 Her work as correspondent in Calgary during the World cup in short track this season has also been important. It helped us cover the event from the inside and inform you even better. With Catherine Mailloux and Julie Doyon still helping us sporadically, Florence Gauthier is now gradually joining the team bringing a new voice to Passion/Speed/Skating. Florence is a short track enthusiast and you should see her name come up more often on our website in the future. Earlier this fall, former short track national team member Caroline Truchon started sharing her love of national records with our readers and we are highly excited about that. Who knows, you may get other types of articles from Truchon in the future. Some more people deserve sincere thanks from us. Thanks to Patrick Godbout, formerly in charge of media relations at Speed Skating Canada and Nicole Espenant who is now in charge. Salute to the Quebec skating federation (FPVQ) and Marchands de vitesse with whom we have collaborated in the last year. A huge thank you to Nathalie Lambert. Your openness and availability is highly appreciated. Thanks also to the amazing photographers giving us the rights to use their work in our articles. If during the first year we were able to easily get in touch with provincial and national level athletes from Canada, the fast growing interest in our media helped us develop strong links with elite athletes from all over the world. The second year wouldn’t have been the same without the bond we started developing with the Dutch team. A special cheer for Daan Breeuwsma. Thanks to Liu Shaolin Sandor for always being camera ready and available. The most challenging interview we did this year was with Keita Watanabe from Japan. Thank you Keita for your patience and your kindness. A warm thank you to world champion Elise Christie who offered us a generous interview in time of doubt and turmoil. We will forever be grateful. Thanks to the one and only Elton De Souza for sharing our vision when it comes to developing speed skating in general and believing in what we are doing. 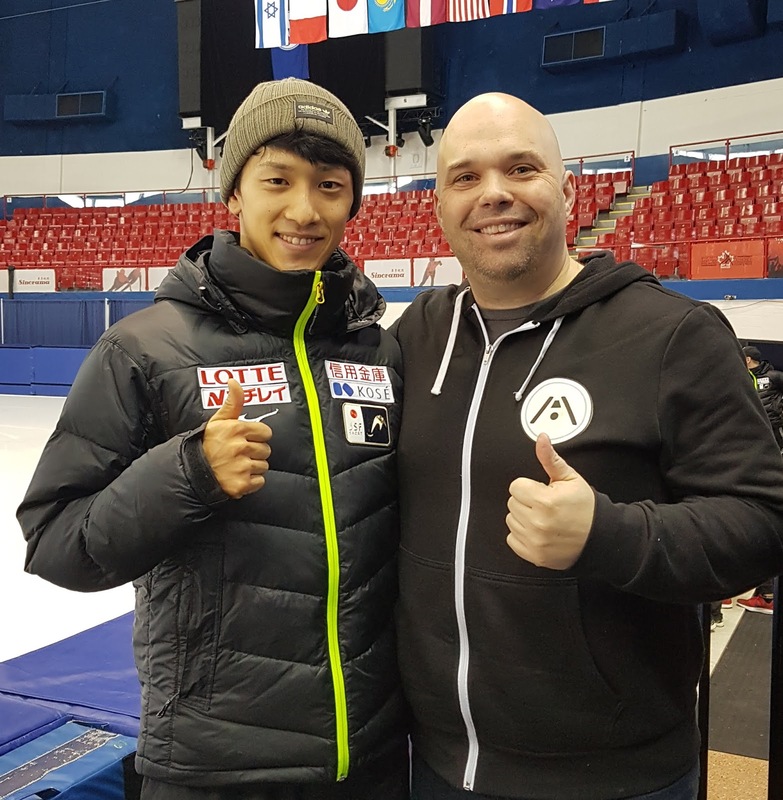 Thanks also to every person who helped us with information, facts, researches and personnal experiences proving how much you care about speed skating and its athletes as much as we do. Finally, thanks to you, our followers. Passion/Speed/Skating’s growth relies as much on you reading, liking, commenting and for sure sharing than it does on us working hard. Talking about you, here are some numbers detailing the last year. Even though Facebook is making things more and more complicated for pages like ours, we were able to go from 1000 followers to 2000 in the last year and we have been more present on Twitter. We produced about the same amount of video content for Youtube this year but our access to skaters from all over the globe brought our work to a new level. We also launched a newsletter to make sure YOU get all the news in your mailbox. If you haven't joined yet, you definitely should by clicking HERE. Our number of followers on Instagram went up by 220% and we are still working hard toward the magic number of 10 000 followers. If you want to help us out, click HERE and follow us there too. As for the website, we published 281 articles (x2 considering we are doing all our articles in English and French) and the number of visits on passionpvss.com went up by more than 300%! Thank you very much for celebrating with us this second anniversary! The third year will be awesome, we can feel it. Déjà deux ans! Bonne fête Passion/Patin/Vitesse!